Way before teenagers mixed it with Coke, rum was the drink of choice in Colonial America. Families drank it and George Washington served the libation at his 1789 inauguration. By that date, millions of gallons of molasses from the Caribbean were being shipped to New England’s harbors, mainly to be converted into alcohol at more than 100 major distilleries. Rum was also a daily ration, imbibed as grog, for the British Navy, and played a more ignoble role as a form of currency in the slave trade. Despite this long history, “rum is rarely considered a top-shelf spirit,” says Andrew Cabot, whose new company plans to change that. 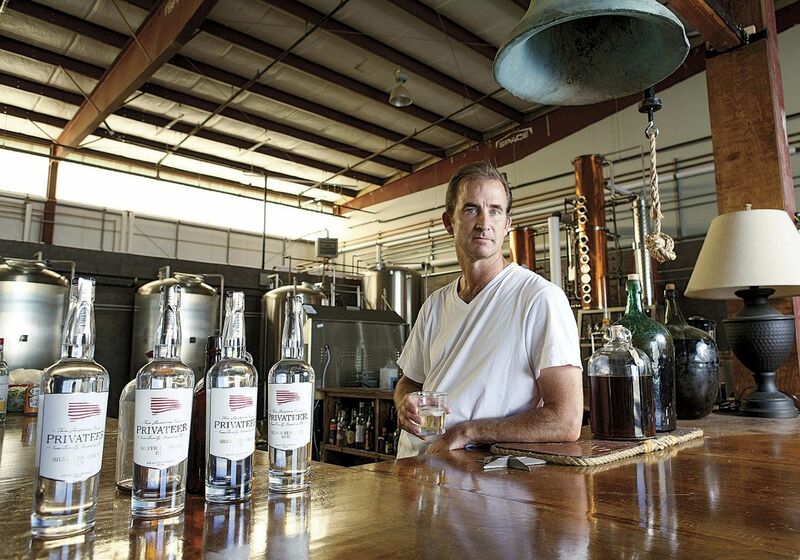 Privateer’s two rums, silver (from sugar cane) and amber (from molasses), are made in a 6,600-square-foot distillery that looks like an airplane hangar on a rural dead-end road north of Boston. “We have the perfect maritime climate here that allows for a long, slow, and cool fermentation,” Cabot explains. “That climate, and subsequently the natural breathing cycle, is consistent with the making of a fine whiskey or Scotch.” Unlike many commercial rum producers, his firm uses no additives—such as flavorings, coloring, sweeteners, or glycerol (which eases alcohol’s firewater quotient)—and lets time take a toll. The silver rum rests for four to six weeks in vats. The amber rum spends 18 months in 53-gallon oak barrels, from which periodic samples are taken in the first step of a painstakingly precise blending process (which the industry calls “batching”) and then is rebarreled, to let emerging flavors meet and marry. Batches are numbered and catalogued using tasting notes that are available on Privateer’s website (http://privateerrum.com). “We are about purity and transparency,” says the energetic Cabot. Cabot’s career has embraced many tangents; he has often taken breaks to work in completely different jobs and “come back at things with a fresh lens.” Because he is dyslexic, he has always had to focus hard to learn anything, loves to learn new things, and brings an intensity to any activity, he says. In 2001, he took a year off from the tech world to teach second grade at a Boston charter school, which later led him to explore the “challenges of mission-delivery in loosely coupled systems and organizations,” at the Harvard Graduate School of Education. He has always been a hands-on member of the boards of nonprofits with an educational mission, such as Raising a Reader. Randolph is also an artist. She designed the Harvard course-catalog covers from 1993 until 2009 (when they were put online), and a limited edition of hand-bound books of J.K. Rowling’s 2008 Commencement speech on the importance of imagination and failure (see “Inner Vision,” July-August, 2010, page 24). 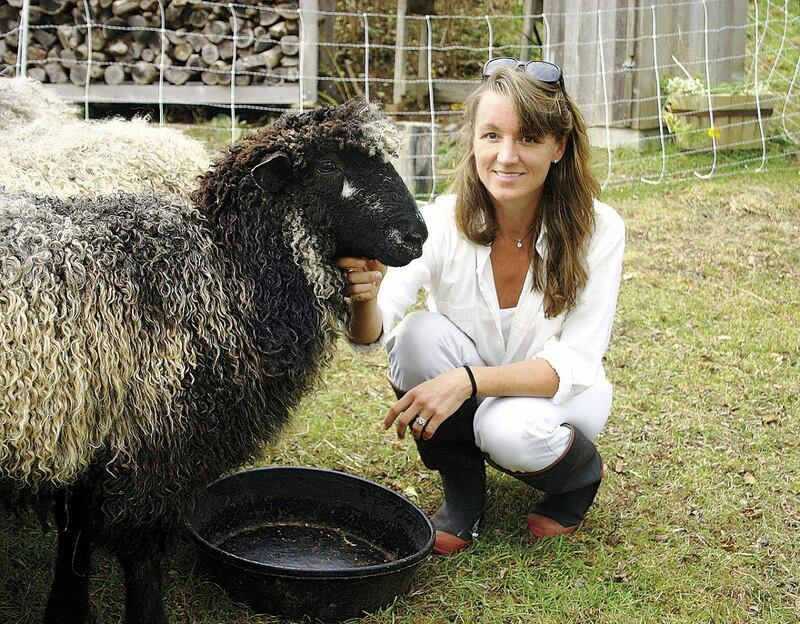 She and her husband, Thomas A.D. Watson, a painter, both have studios on their property. Beef burgers, according to Forbes, are a $40-billion industry dominated by McDonald’s, Wendy’s, and Burger King. B.goods are often located on the same street, block, or strip as these behemoths, and sometimes not far from relative newcomers Tasty Burger (which also touts all-natural beef burgers and hot dogs and locally made buns) and Five Guys (reportedly the fastest-growing fast-food chain in America). But Ackil says b.good “is not competing with these chains because we’re unique in the market,” and beef burgers represent only about 20 percent of its sales. 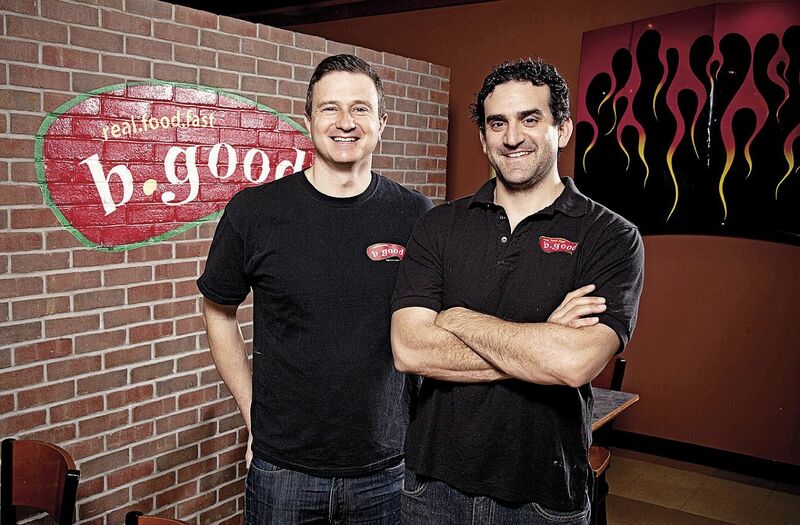 About 18 months later, in 2009, they quit their jobs and leapt into the entrepreneurial world of restaurant chains, opening the first b.good (www.bgood.com) on Dartmouth Street in Boston. Now there are 10 corporate “units,” as Ackil calls them, three franchise locations, and another 35 in development. “We’re not joking around here,” he says. “We want to be thousands of units—a national chain.” So far, every New England state except Vermont has a b.good, as do Philadelphia and Toronto. Quality control is one obvious focus, and challenge, in scaling up the brand.